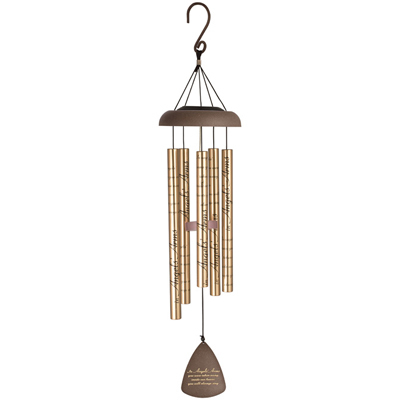 Solar memorial wind chimes are a beautiful expression of sympathy. The recipient will be reminded of their loved one with each gentle breeze that blows. With high quality construction, the chimes feature deep, rich tones and a solar panel located within the top of the canopy. This allows for illumination in the evening. Makes a beautiful display from afar. inside our hearts you will always stay."